Cheese is one of the most important ingredients in different recipes. It looks great as well when we have it on our dining table. However, it is impossible to keep some cheese on your table for permanent use like a decoration piece. If you are thinking so, we are here to help you with your decorative needs with some unique and fresh looking fake cheese. 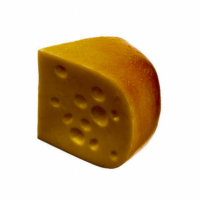 Our artificial cheese wedges are made with the best quality material and look very realistic although they are fake. 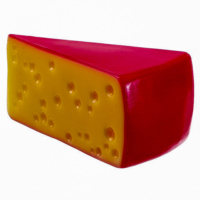 We offer the best faux cheese. So, the is going be a perfect piece of art to use in your kitchen or dining decorations. No matter how particular you are, and are looking for some unique and original looking cheese, Amazing Produce will be your ideal choice to choose your required cheese.